Everyone wants to review their work for minute refinements. These refinements become better targeted when you are provided with an actionable data in well formatted graphical, tabular and textual format. 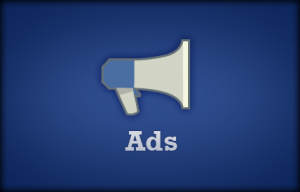 Facebook ad analytics is such a tool, aimed at online marketers. This tool is of prime importance for anyone who wishes to get the most out of their ad campaign. Getting actionable data in real time is the single most effective tool for small adjustments that you might have to make in order to fine tune the advertisement to serve your targeted audience better. Another usage of this real time data is to measure the progress of your advertisement and to see the results of various ad categories that you might have selected for your advertisements. Look at the screen shots, in the upper most row you will find a graph with two lines, one is green and the other is blue. The graph is generated on the basis of responses per day versus the changing timeline of days in progression. It shows you the analytical data from past 28 days. The blue line on the graph indicates the performance of your full ad while the green line gives a measure of your connections. A comparison of these two lines will generate an overview of your CTR and actual conversions. Below the graph is a row of various data figures grouped together. The first figure gives your campaign reach; it means the number of people who fall under the category of your targeted audience. Next is the frequency, its figure indicates the rate at which your ad impressions are served. Then is the figure for social reach, it stands for the number of people who took interest in your advertisement, but they don’t belong to the targeted audience category, they are those who are in the friends list of the people to whom your ad was served. Clicks stands for the number of people who actually clicked on your advertisement. CTR is the click through rate; it means the rate of clicks versus the total ad impressions served to your audience. The budget figure is self explanatory; it gives the amount that you have spent on your ad campaign. All of this data is in real time and is continuously updated. The section below it gives you a preview of the advertisement for which the analytical data is being displayed. The column to the right of the preview of your advertisements explicitly mentions the filters that were applied in order to select the targeted audience. The Facebook analytics allows you to see all of this data in three different forms, as graphs, as tables and as a full report. As their names suggests the tabular version organizes the data in a tabular form while the graphical version is a visual representation of the various metrics. Data presented in such a readable, graphical and understandable form can prove to be very critical at moments when you need to make a quick decision about the future course of your online advertising campaign. This is a guest post by Matthew Anton who runs an online firm that provides services for optimizing Facebook ads, it also provides its services in interpreting the data obtained from various network analysis tools implemented for Facebook ads. Tell you what! I’ve been using facebook ads very less since it’s giving me low conversion and I think I never git any got outcome from it. And to be honest never heard of ad analytics for facebook and your points regarding it is really informative.